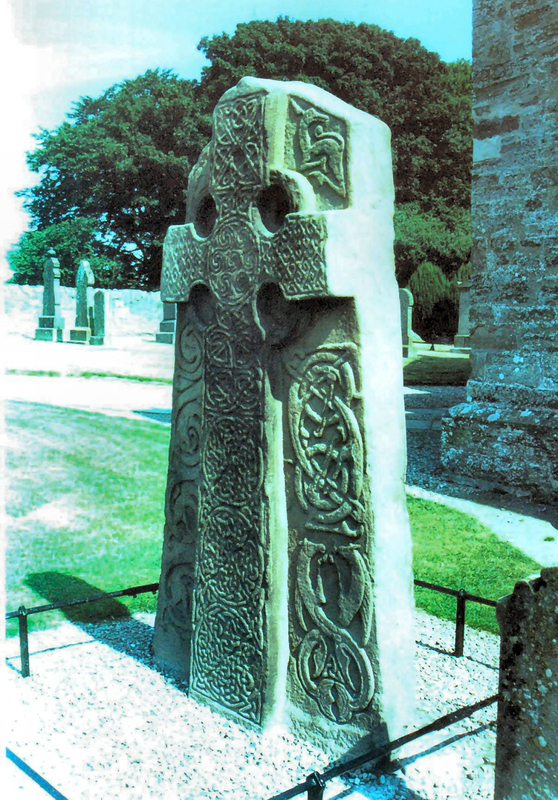 A magnificent cross-slab in the churchyard, with interlaced decoration on one side and Pictish symbols and figure sculpture on the other. 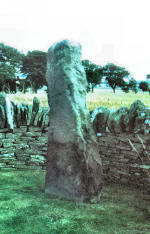 Three other stones, covered in winter, stand by the B9134 road. The substancial ruins of a Tironensian monastry, founded by William the Lion in 1178 and intended as his own burial place. 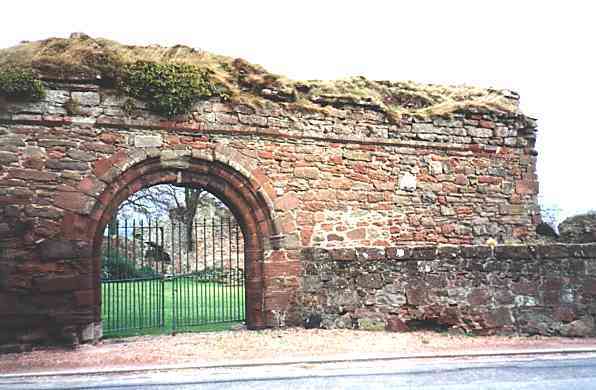 Parts of the abbey church and domestic buildings remain, noteably the gatehouse range and the abbot's house. 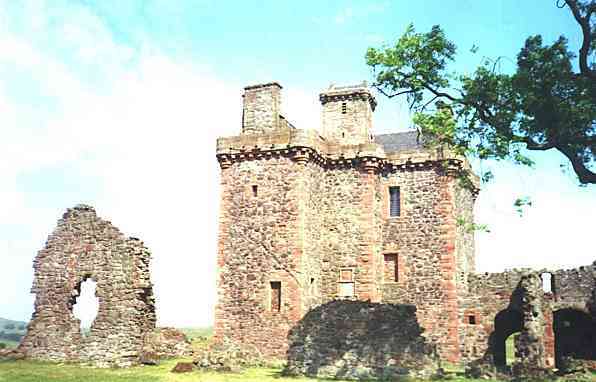 This was the scene of the signing of the Declaration of Arbroath of 1320, which asserted Scotland's independance from England. A curved underground gallery 80 feet in length of Iron Age date; now uncovered, originally attached to a surface dwelling. 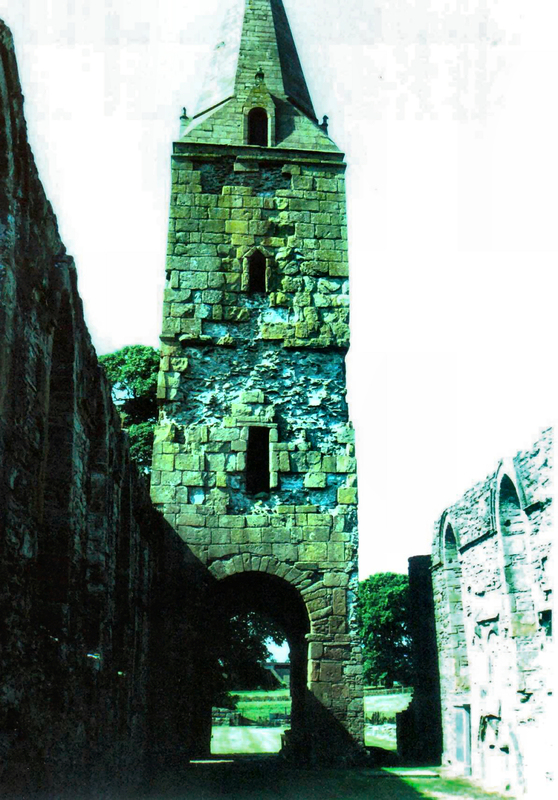 One of the two remaining round towers of the Irish type in Scotland, built in the late 11th century with a remarkable carved doorways. 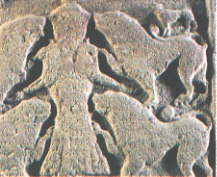 Capped by a stone roof added in the 15th century. A 16th century tower adapted for changing defence needs during the 19th century. Now houses a branch of Dundee Museums. 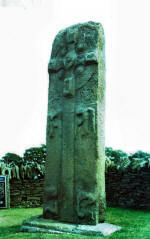 A complex undergorund structure, 150 feet long, of Iron Age date. Now uncovered. Two spectacularly large hill forts. 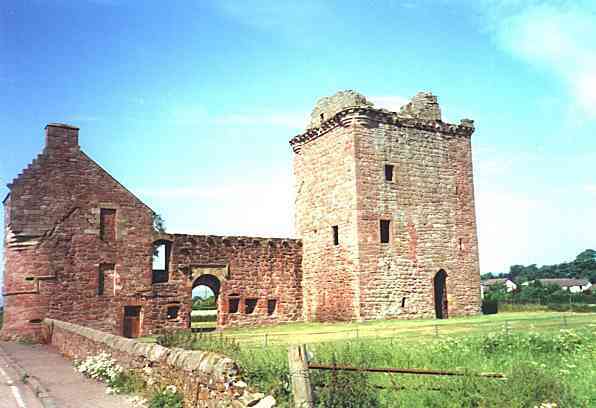 The Brown Caterthun is defended by four ramparts and ditches, and the White has a massive stone rampart, a ditch and outer ramparts. 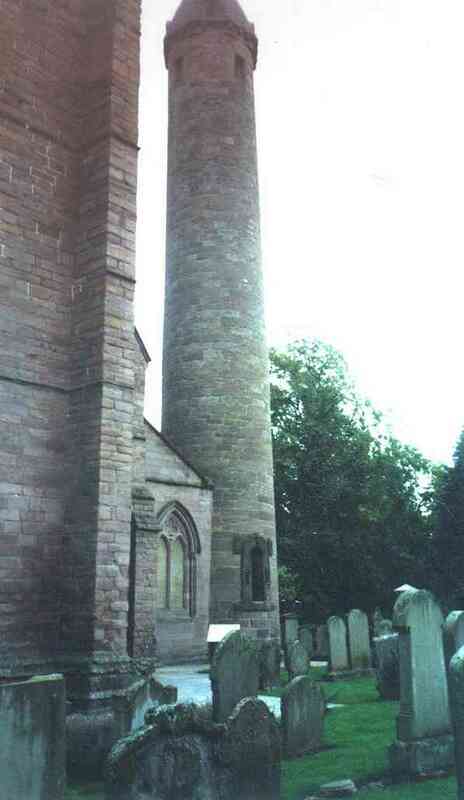 An unusually complete tower house, with circular towers at diagonally opposite corners, corbelled out to form overhanging cap houses. 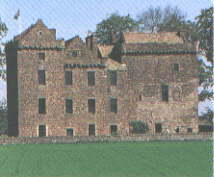 Built in the late 16th century for the Strachan family, and later the property of 'Bonnie Dundee', John Graham of Claverhouse. 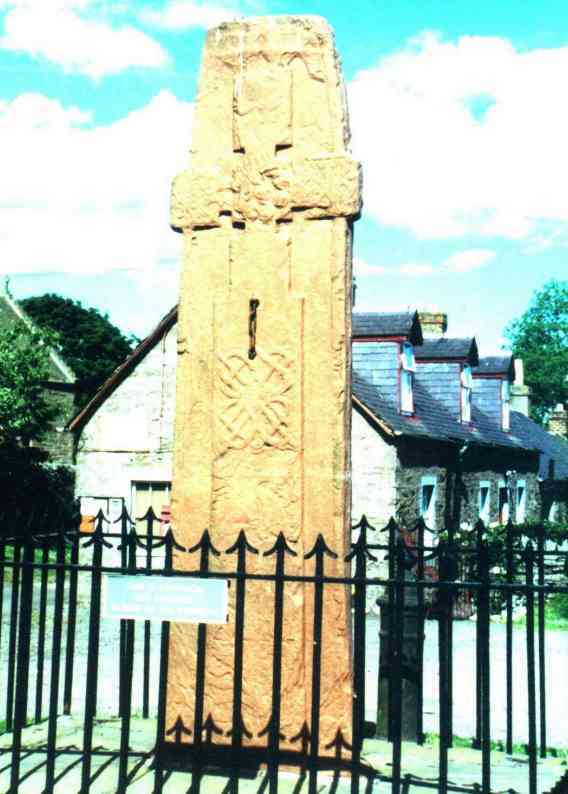 A fine, elaborately sculptured monument, with richly decorated Celtic cross on one side and Pictish symbols and processional scenes on the reverse. At Edzell 6m N of Brechin on the B966. 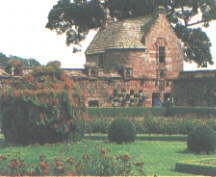 The beautiful walled garden at Edzell is one of Scotland's unique sights, created by Sir David Lindsay in 1604. The "Pleasance" is a delightful formal garden with walls decorated with sculptured stone panels, flower boxes and niches for nesting birds. Visitor Centre. 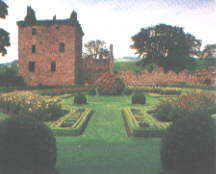 The chequered arrangement of blue and white lobelia in the wall recesses reflect the heraldic colours of the Lindsays and the dwarf box hedge borders are cut to give the family mottoes. Part of the south wall of a chapel, belonging to a medieval hospital founded in the 1260s with finely detailed doors and windows. 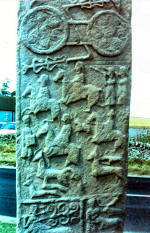 In Meigle on the A94. A remarkable collection of 25 sculptured monuments of the Celtic Christian period. This is one of the finest collections of Dark Age sculpture in western Europe. 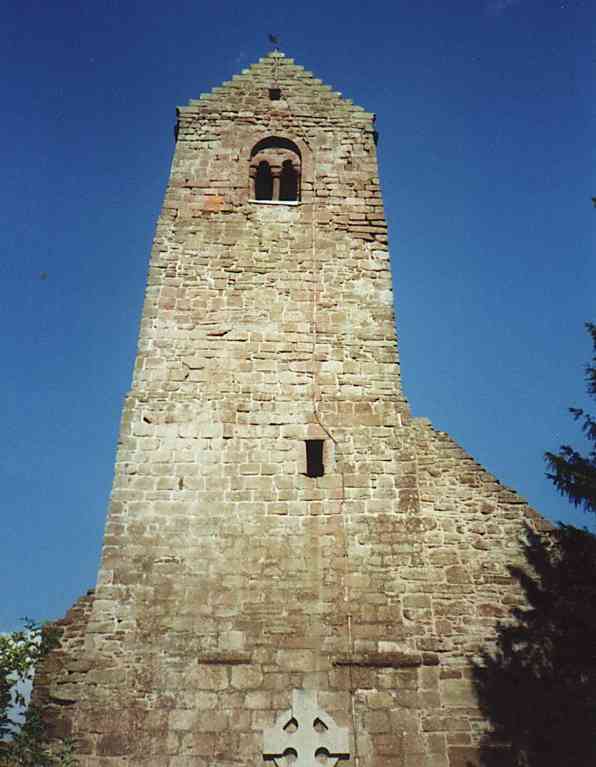 The chancel and tower of the priory church of Augustian canons. 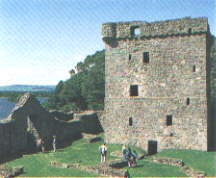 The lower part of the tower is very early Roamesque work. 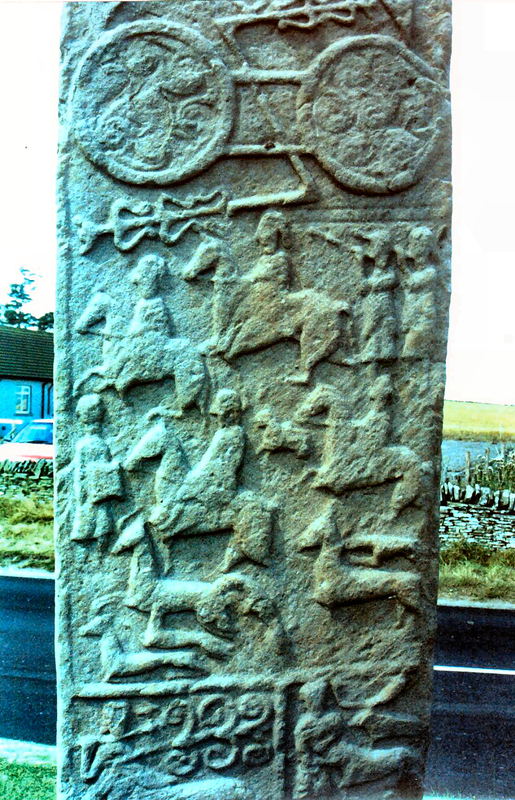 An early Christian sculptured slab, with cross on one side and Pictish symbols and figures on the other. 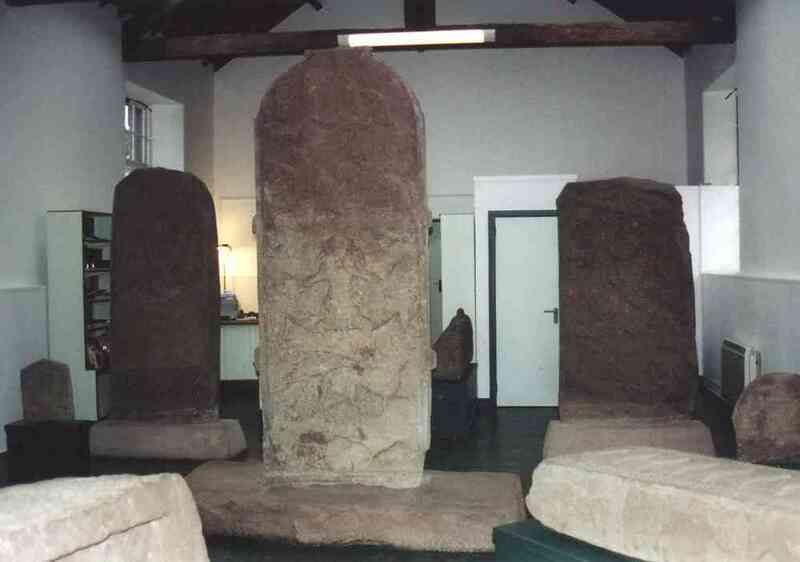 A fine collection of 32 early Christian and Pictish stones in cottages in the village of St Vigeans. 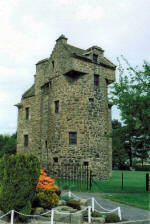 The dovecot dates from the late 16th century, and is an elegant little building. 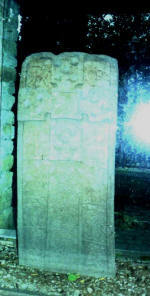 The earth-house, of Iron Age date, consists of an underground passage, now uncovered. 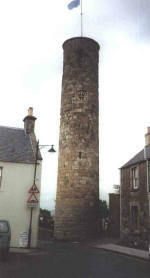 One of the two round towers of Irish style surviving in Scotland, dating from the end of the 11th century. Fine views from the top. 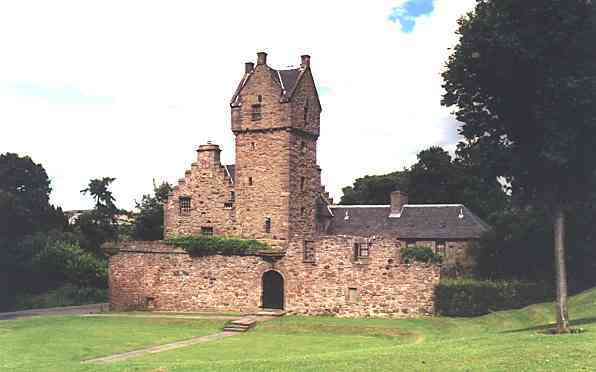 A late 15th century tower on an L-plan, extended in 1581 by the addition of a walled courtyard and gatehouse. Refined architectural details. The roofless but otherwise complete ruin of a tower house of about 1500, with a section of defensive barmkin wall and a remarkable corner tower with a square cap-house corbelled out. Much visited by James IV. 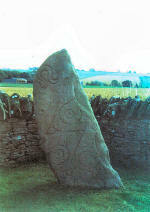 A fine Pictish sculptured stone with a cross on one face, and figures on both faces. Beautifully situated on the banks of the Tay. 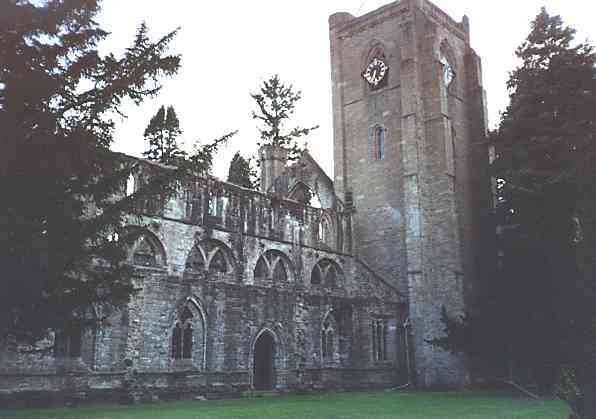 The choir is now the parish church, but the early 15th century nave and tower are in the care of the Secretary of State. 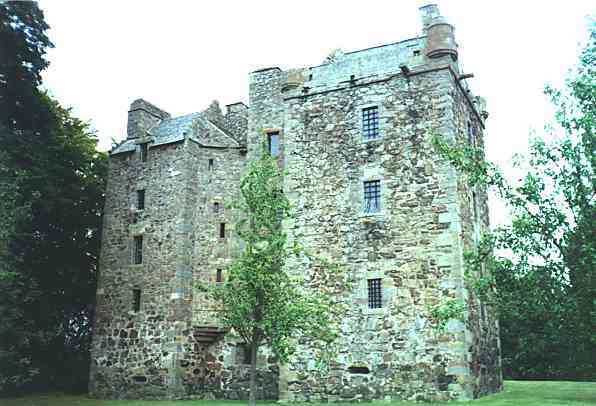 A handsome and complete fortified mansion of 16th century date, with three projecting towers. 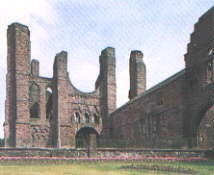 The origional wrought-iron grilles to protect the windows are still in place, and there are remains of the entrance courtyard. 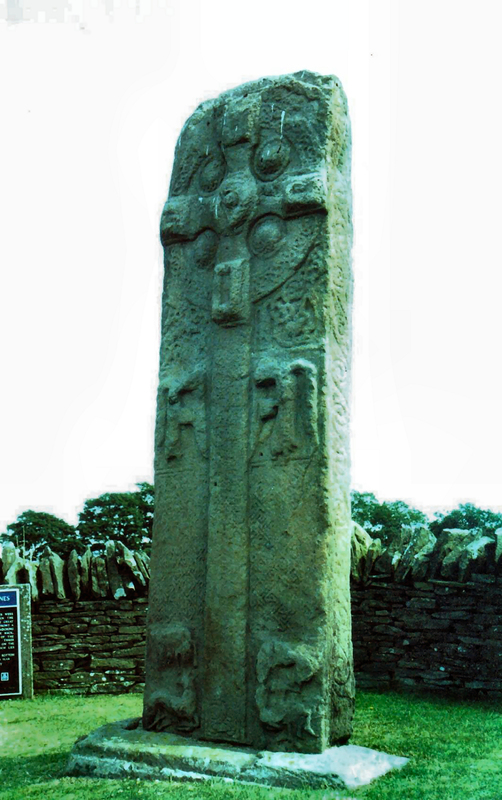 A tall cross-slab carved with Pictish symbols, figure sculpture and celtic enrichment. 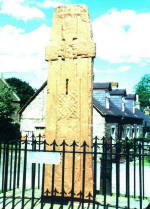 The stone is in the village church; a replica stands in the square. 3m NW of Perth off the A85. The splendid painted ceilings are especially noteworthy in this castle, once owned by the Ruthven family. Scene of a famous leap between two towers by a daughter of the house who was nearly caught in her lover's room. A rectangular collegiate church founded in 1508. 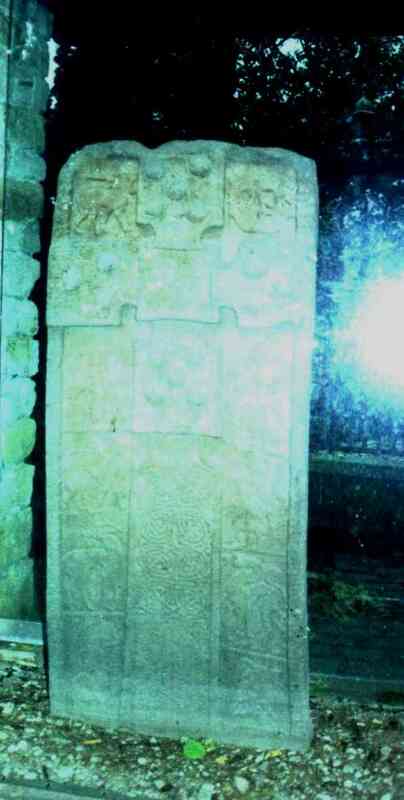 Still retains its altar and evidence of its furnishings. On an island in Loch Leven reached by ferry from Kinross off the M90. Mary Queen of Scots endured nearly a year of imprisonment in this 14th-century tower before her dramatic escape in May 1568. 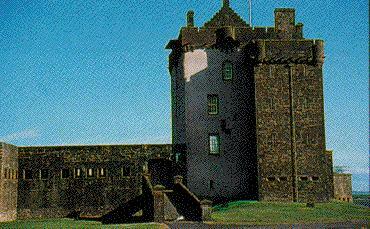 During the first War of Independence it was held by the English, stormed by Wallace and visited by Bruce. 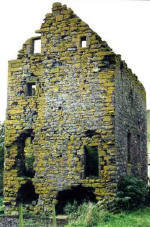 The interesting ruins of an important medieval parish church. 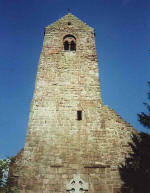 At its west end is a tall Romanesque tower. The remainder of the church is mostly of 15th century date. 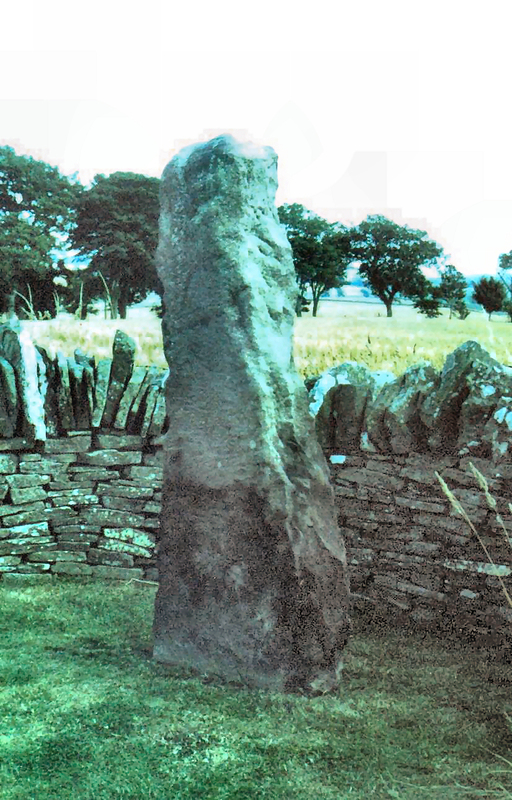 The site of a Roman watch tower, one of a series running between Ardoch and the Tay, dating to the first century AD. Parts of the defences of two Roman marching camps, probably dating to the early third century AD. Another watch tower site in the same series as Ardunie. A 16th century parish church, with a finely painted wooden ceiling illustrating heraldic and symbolic subjects, added in the 1630s. 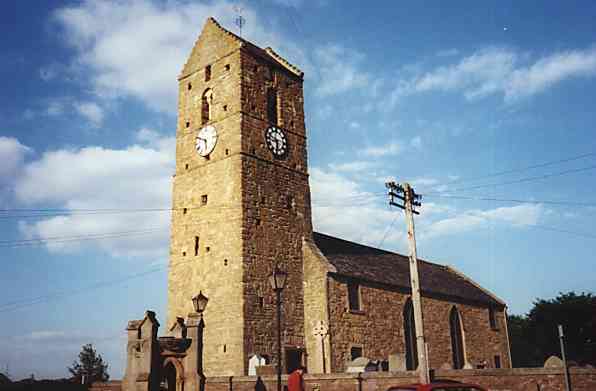 The parish church of Dunning, with a square Romanesque tower and tower arch. The body of the church was rebuilt in 1810, but still contains some of the original fabric. 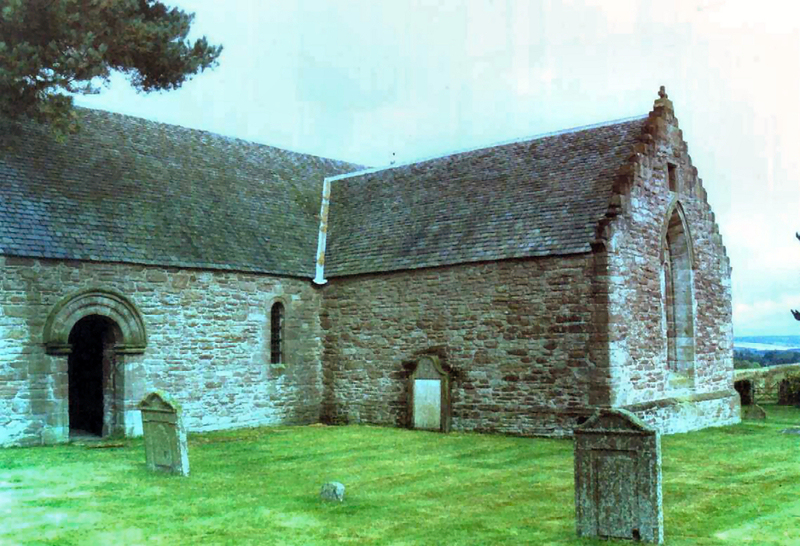 One of the most complete and unaltered small medieval churches in Scotland, founded in 1446 and largely rebuilt in about 1500. Good architectural detail. Near Newburgh. Founded in 1191. Dated 1562, building is restored and serves as a restaurant. 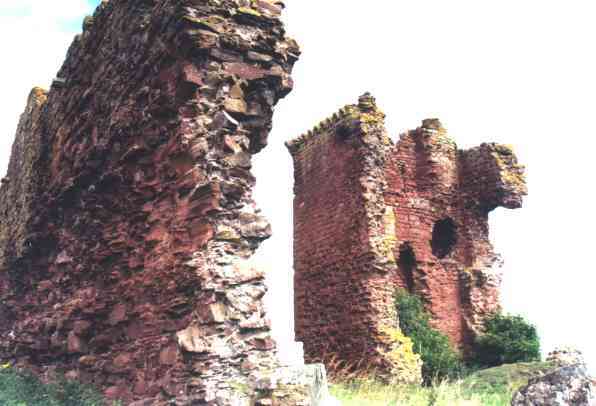 At Lunan Bay, 5 miles south of Montrose, east of A92 NO 687510 12th C castle with keep added in 14th C.